Well its official, Fernando Gago has accepted Valencia CF offer and joined the team today. 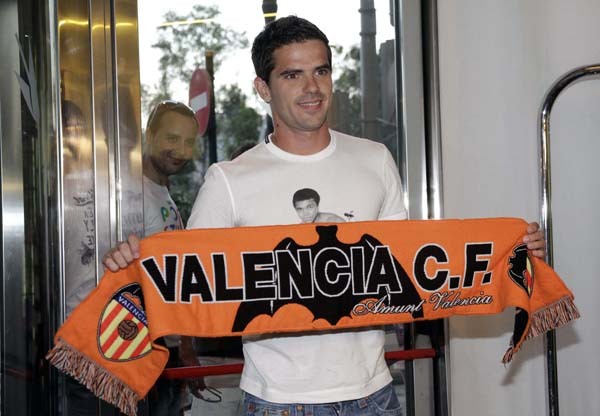 His salary is going to be around 1.2 to 1.5 million euros, a huge downgrade from Real Madrid, but he is likely to get more playing time here at Valencia CF. The transfer fee is reportedly 4 million euros, but we won't have an official confirmation, so whether its 3.5 or 4 or 4.5 million isn't even that important, its pretty cheap. He is going to be officially presented at 19:00 O'clock Spanish time and will instantly join the group in the preparations. So there you have it people, another central midfielder, on top of Banega, Tino and to a great extent Parejo and still only 1 defensive midfielder the old Albelda. Hope you are happy and willing to finish 6th position or worse this season!